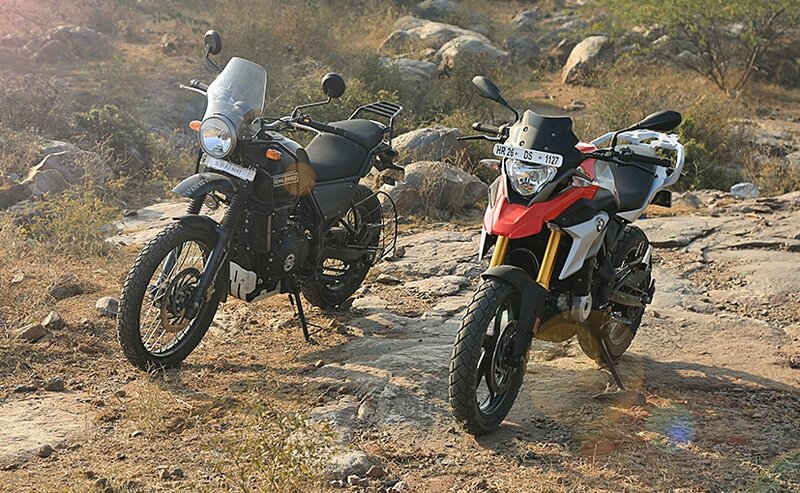 We pit the BMW G 310 GS against the Royal Enfield Himalayan ABS to see which one is the more versatile and capable adventure tourer. An adventure on two wheels is what many riders dream about - heading out on a long ride, up to the nearest mountains, crossing fast flowing streams, over rocky and broken terrain. 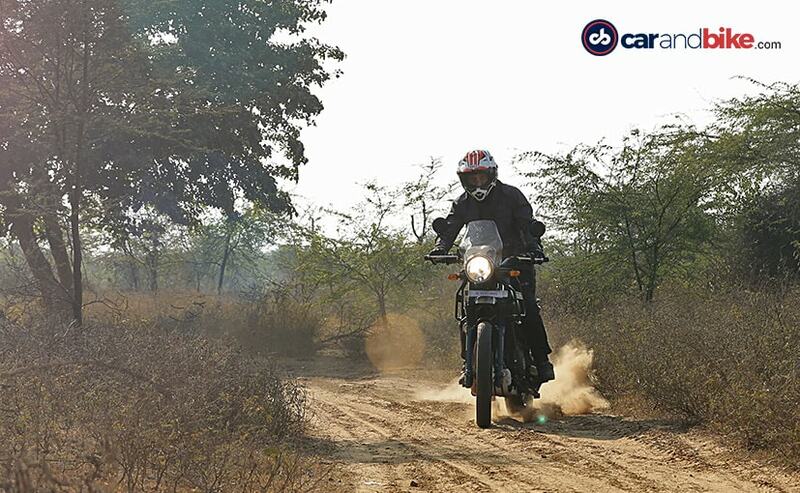 And the right and capable bike will certainly go a long way in making such a ride memorable and enjoyable. That is where adventure touring bikes come in, offering the comfort of long hours in the saddle, but at the same time offering some off-road capability to sail over gravel trails, broken roads and the like, when the tarmac disappears. 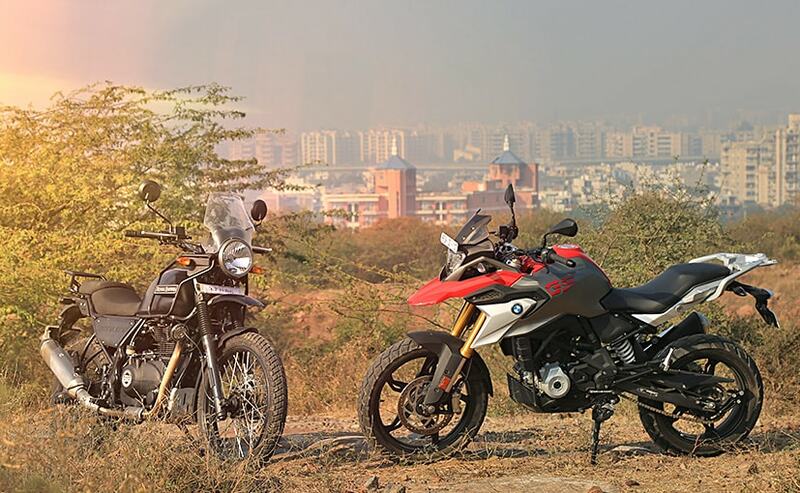 The baby GS, the BMW G 310 GS, offers the entry into the coveted world of the BMW GS family, but there's already a capable dual-purpose bike available - the Royal Enfield Himalayan. Both bikes offer similar touring capability, but there's a lot of difference in how they are designed, how they perform, and how they are priced. So, let the games begin then. The BMW G 310 GS has the typical adventure-style front beak, dual-tone signature GS colours, and a tall, upright riding position. It may be the baby GS, but it looks like a big bike. And with a seat height of 835 mm, it's got a tall perch, perfect for a commanding view of the road ahead, but riders of shorter height may find it a little daunting to tip toe on. The 41 mm gold-coloured upside down fork adds a touch of quality to the already superb build quality. The body panels are solid, and if quality is what one is looking for, there's no doubt that BMW has it got covered. Fit and finish is superb, and the baby GS feels like it will age well, without any rattles or panels getting loose. And it gets dual-channel ABS, and ABS on the rear wheel can be disengaged by the simple push of a button. Comparatively, the Royal Enfield Himalayan's design is rudimentary. It's simple, utilitarian and looks rugged - built to take on the rough and the occasional tumble. And it's got enough space to hook up panniers, and soft luggage and other essentials for a two-wheeled adventure. With a seat height of 800 mm, the Himalayan is also the more accessible bike; you can easily place both feet on both sides of the bike, and riders of different build and height will find it comfortable and easily accessible. The Himalayan now also gets dual-channel ABS, but ABS isn't switchable, so experienced off-road riders may miss that feature of being able to lock the rear wheel, or get rid of the intrusive ABS, at least when riding off-road. 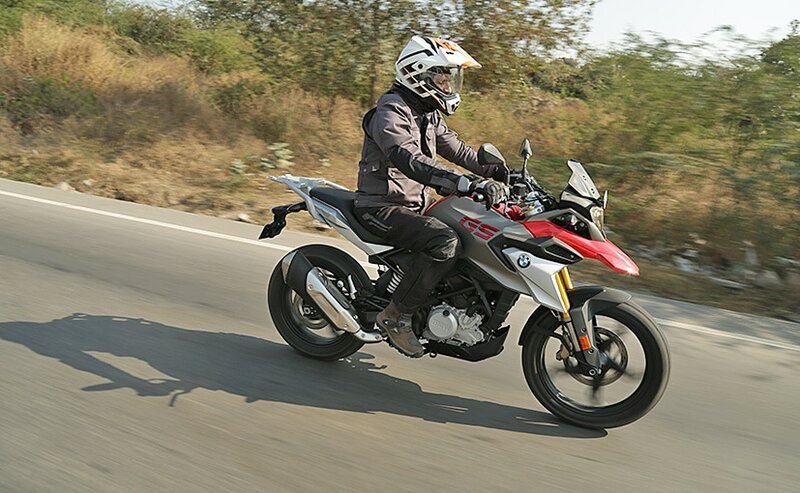 On the move, it's immediately apparent that it's the BMW G 310 GS which offers more spirited performance. The 313 cc, single-cylinder, liquid-cooled engine is free revving, and as long as you keep it spinning above 4,500 revs, the GS feels entertaining to ride. The ride quality is plush and the seat offers a comfortable ride, although the front does tend to dive under hard braking. The brakes are quite good, and out on the highway, the G 310 GS will cruise comfortably at 120 kmph, going up to a top speed of over 140 kmph. But it's the vibrations which begin to be apparent at high revs, and there's a perceptible buzz on the footpegs, handlebar and fuel tank. And the fuel tank has only 11 litres capacity, so on a long ride, be prepared for refills before you cover 300 km on a tankful. The engine has a strong mid-range, but on the flip side, within the city, in bumper to bumper traffic, you have to constantly work the six-speed gearbox to be in the meat of the powerband. And that's not a happy place to be in with the GS. The Royal Enfield Himalayan now gets fuel-injected, and throttle response is crisper than before. So, compared to the earlier carburetted model, the new Himalayan feels eager to build up speed, but acceleration is not comparable to the GS. 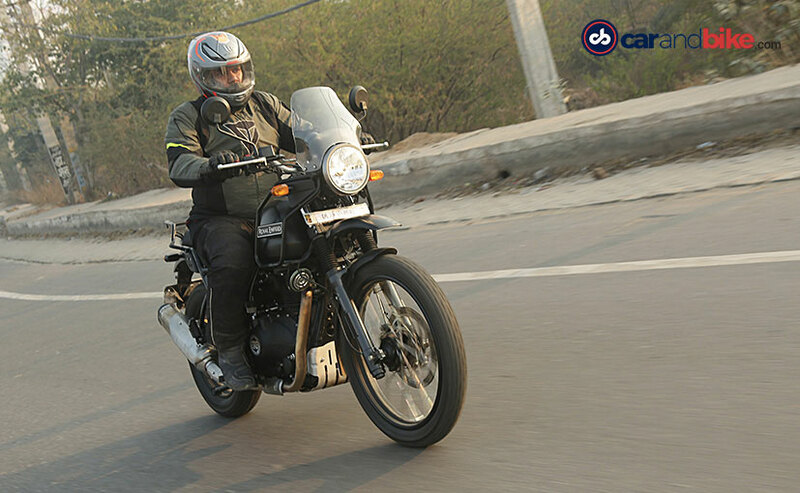 It makes less power, only around 24.5 bhp of it, and the engine's character is typical of Royal Enfield singles. As long as you're not in a tearing hurry to get anywhere, the Himalayan will chug along nonchalantly, and it can hit 130 kmph with the throttle pinned wide open and a long enough road, but it's not happy at high revs. Between 90 to 100 kmph is where the Himalayan's sweet spot is, and it will happily maintain those speeds over a day's ride. But where it excels is in the way the 411 cc air/oil-cooled engine delivers its torque of 32 Nm. So, without working the five-speed gearbox too much, the Himalayan will be happy to pull cleanly, and it's a boon in city traffic. And that low-rev pulling power is also what is required when you're traversing difficult terrain. 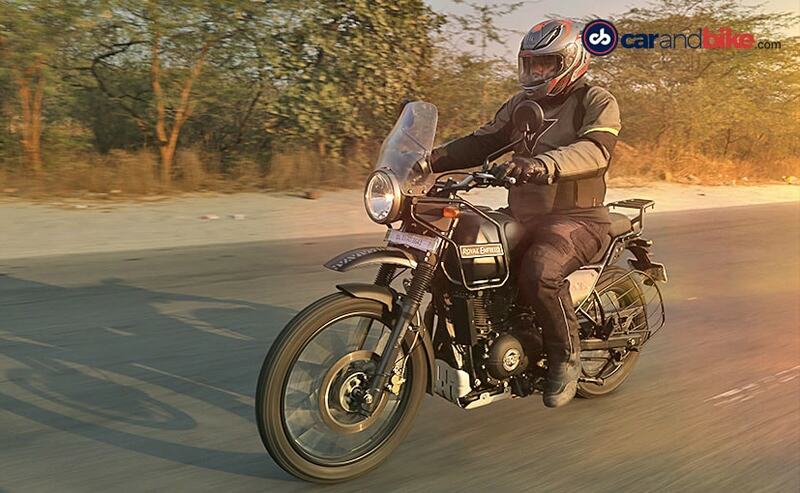 The Himalayan also has a bigger 15-litre fuel tank, and that translates to more kilometres on a tankful of fuel. And while you're at it, the Himalayan also has a comfortable ride, and the upright riding position and small windscreen helps a fair bit while riding for long hours on an open highway. 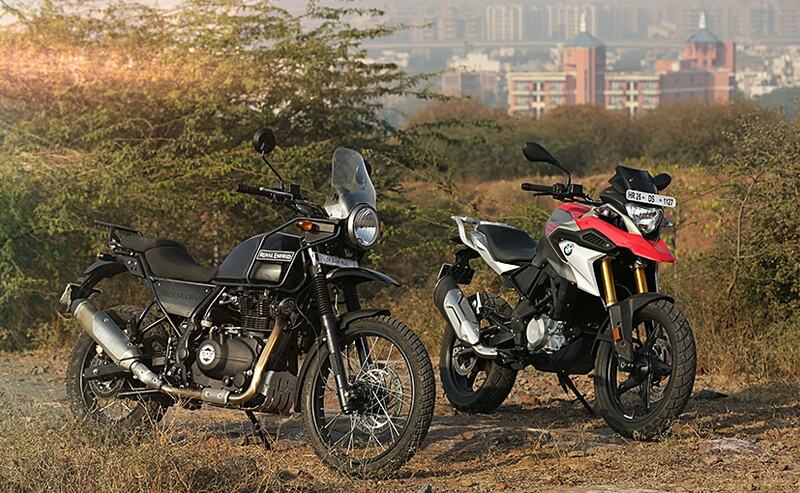 Both the BMW G 310 GS and the Royal Enfield Himalayan are adventure touring bikes. These are dual-purpose bikes meant for long distance touring and taking on the rough when the tarmac ends. Neither of these bikes have hard-core off-road ability, but they are both made for trail riding and the occasional gravel road. Both bikes have 220 mm of ground clearance, and the GS gets a standard engine bash plate, although it's made of plastic. The 41 mm upside down front fork dives under hard braking, but ride quality is surprisingly good, even over dirt trails and gravel roads. With an 18-inch front, 17-inch rear alloy wheel combination, together with 180 mm of suspension travel, the GS is equipped for mild off-road duties, but you will need to be careful over broken and rocky terrain. The Royal Enfield Himalayan, on the other hand, gets spoked wheels, and although no tubeless tyres, the front suspension offers 200 mm of travel. 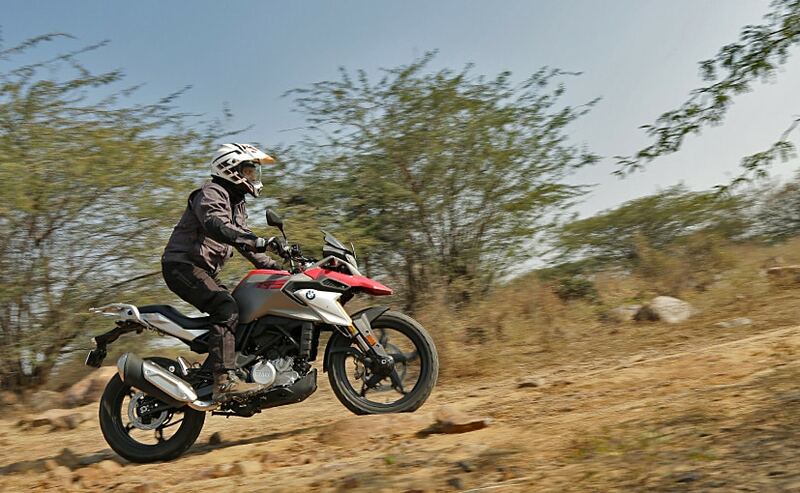 While a fistful of throttle may make the GS go sideways in the dirt, the Himalayan's lack of power ensures the rear is reluctant to step out, even with the throttle pinned open. In a way, that's the personality of the Himalayan; easy ride ability and relaxed cruising, and not meant for off-road shenanigans. But even less experienced riders new to dirt riding will appreciate how stable and composed the bike feels, and that low-end torque means it will thump over almost all kinds of surfaces. 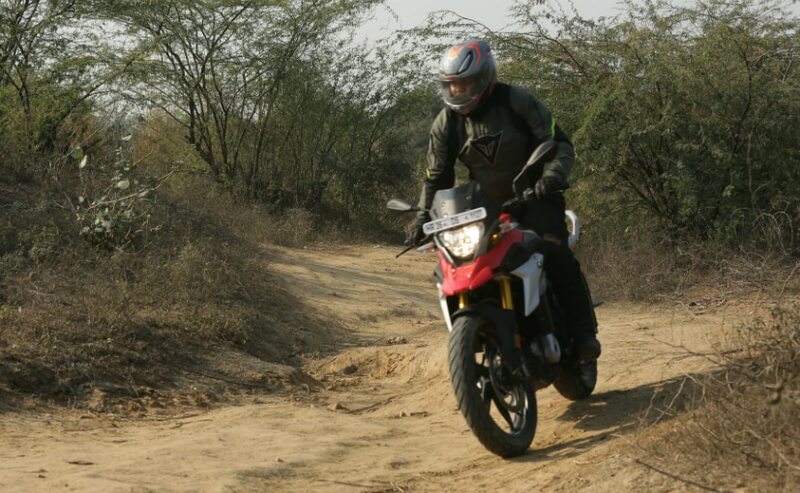 So, practically speaking, the Himalayan is the more rugged bike here and can take some fair amount of beating off-road. And it's also got a more rugged engine bash plate than the BMW. 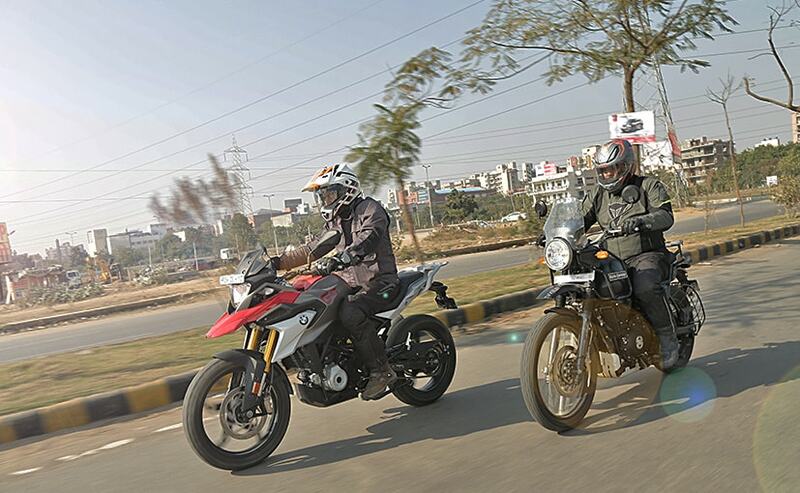 The BMW G 310 GS is the better built bike in this comparison. It looks good, has superb fit and finish, and offers an entry ticket into the world of BMW GS. The GS also has better cruising ability and of course you get bragging rights of being the owner of a BMW GS. Picking a clear winner in this comparison isn't so simple, primarily because of the huge price difference. But if pricing isn't a consideration, it will also depend on the kind of riding you do. If you're looking mostly at tarmac riding, and even long distance riding, the BMW G 310 GS is better suited for that. It's more comfortable, has better cruising speed and of course it's a BMW. But if you're looking at mostly trail riding, over broken roads and rocky riverbeds, the Himalayan can take that kind of beating. At ₹ 1.79 lakh (ex-showroom Delhi), it's more affordable, cheaper to maintain and will be cheaper to repair as well. Getting into the world of BMW GS may be tempting for some, but at ₹ 3.49 lakh (ex-showroom), the BMW G 310 GS costs nearly twice the Himalayan, and in this comparison, it's the Himalayan which is the easier, more accessible, more affordable and more versatile adventure motorcycle, and that is why the Royal Enfield Himalayan is our pick in this comparison.